The basic dosage for naloxone. The administration of naloxone and how to recognize an overdose. The side effects of naloxone. Frequently asked questions about this medication. Who Answers? to learn more about opioid recovery programs near you. Naloxone is an opioid antagonist, which means that it blocks the effects of opioids such as heroin, oxycodone and morphine. Naloxone can also be given after surgery to minimize any post-operative sedation caused by opioids used during the procedure. Naloxone is not treatment for opioid addiction.Naloxone only blocks opioid receptors long enough to help a person recover from an overdose. People who are dependent on opioids should receive the proper intervention and treatment for opioid addiction. Take opioids in high doses for pain management. Have been discharged from the hospital due to a previous opioid overdose. Are in mandatory detox or abstinence programs for addiction to opioids. Take certain types of long-acting opioids. One dose of naloxone ranges from $10 to $20. The brand drug Evzio ranges from about $725 to $850 for 2 injectors. Some insurance plans cover naloxone. Outside of an emergency room, naloxone may be prescribed for people at risk of an opioid overdose to keep on-hand for emergencies. The pharmacist or the doctor who prescribed naloxone can demonstrate how to use the medication. The Evzio injector is a relatively new option to be used in opioid emergencies. It is designed to be simple to use and comes with a set of both visual and recorded voice instructions that can walk someone through the process of injecting the naloxone. Regardless of whether or not a person is trained in how to administer naloxone, an attempt should still be made to give the injection in the event of an overdose. Injections can be given through clothes if needed. 2 Police and emergency medical personnel often carry naloxone to treat opioid overdoses immediately on the scene, rather than losing valuable time waiting to get to an emergency room. Extreme sleepiness and frequent episodes of nodding off. Not being awakened when spoken to loudly or when someone rubs the person’s chest firmly. Shallow breathing or not breathing at all. Further, emergency services should always be called to make sure that the person who overdosed receives a proper evaluation and further medical treatment. This should be done whether or not a person’s caregiver is trained to give the medication, and even if the person who overdosed appears to be fine after receiving naloxone. This video from Boston Public Health demonstrates how to administer the naloxone nasal spray. Who Answers? to find addiction recovery programs in your community. A representative can help you choose a program based on your insurance coverage. Redness and swelling at the injection site. Often, naloxone is combined with other medications to be used during opioid detox and/or for ongoing management of opioid dependence. One such FDA-approved combination is Suboxone – the trade name formulation of buprenorphine and naloxone. In drug-dependent individuals currently under the influence of opioid drugs, naloxone administration can result in rapid onset of unpleasant withdrawal symptoms. As an addiction treatment pharmaceutical, however, naloxone is used in conjunction with other medications designed to ease the symptoms of acute opioid withdrawal while minimizing the potential “high” elicited by them. In this manner, those participating in a medication-assisted recovery program are discouraged from abusing both their treatment drugs and from using additional opioids. Naloxone has shown effectiveness in treating opioid overdoses in several studies. What Is the Difference Between Naloxone and Naltrexone? Naloxone is used in emergency situations to prevent a fatal overdose from opioids. Naltrexone is an addiction treatment medication that works by blunting the euphoric effects or “rush” of opioids. Does Naloxone Get You High? Naloxone is not addictive and will not get you high. No. Naloxone is non-addictive and, in fact, nearly immediately reverses or blocks the high users normally experience from opioids. Can Naloxone Cause Sudden, Complete Opioid Withdrawal? Do Any Natural Supplements or Herbs Work the Same Way as Naloxone? No “natural” treatment exists for an opioid overdose. In fact, using supplements or herbs to treat opioid overdoses or addiction can be extremely dangerous. An opioid overdose requires immediate medical attention. When people use street drugs, such as heroin, it is easy for them to overdose – particularly when they build up a tolerance and need to take more and more of the drug to get high. The same thing can happen when someone misuses a prescription drug such as oxycodone. But accidental overdoses can occur even when someone takes opioids as prescribed. For example, a person may misread the instructions and take more pills than were prescribed. 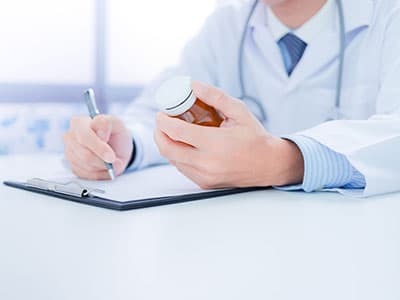 Or a person may forget that he or she already took the prescribed opioid medication and take another dose, which results in too much of the drug in that person’s system. Will Naloxone Help Me Go ‘Cold Turkey’ and Detox at Home? No, naloxone alone is not designed to help with opioid withdrawal symptoms or to help detox from opioids. Naloxone is only designed to stop the negative effects of an opioid overdose to save a life. Can Naloxone Be Used for Pregnant Women? What if I Give Someone Naloxone and Something Bad Happens? If you need help overcoming an addiction to opioids, call 1-888-319-2606 Who Answers? today. Our recovery support specialists will help you locate a treatment center in your area that best suits your needs and works best with your insurance coverage. 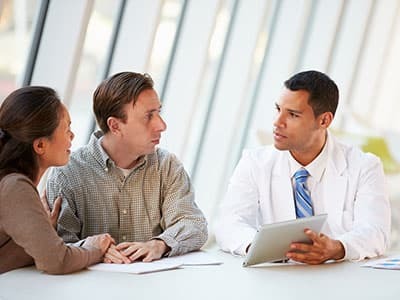 If you don’t have health insurance, contact the Substance Abuse and Mental Health Services Administration (SAMHSA) at 1-800-662-HELP (4357) to find low-cost or free programs in your area for opioid addiction.
. U.S. National Library of Medicine. Dailymed. Naloxone hydrochloride. Naloxone hydrochloride injection, solution.
. Maxwell S., Bigg D., Stanczykiewicz K., Carlberg-Racich S. (2006). Prescribing Naloxone to Actively Injecting Heroin Users: A Program to Reduce Heroin Overdose Deaths. Journal of Addictive Disease, 25, 89-96.
. The Network for Public Health Law. (2015). Legal Interventions to Reduce Overdose Mortality: Naloxone Access and Overdose Good Samaritan Laws.
. Centers for Disease Control and Prevention (2012). Community-Based Opioid Overdose Prevention Programs Providing Naloxone – United States, 2010.
. Drug Policy Alliance. Expanding Access to Naloxone: Reducing Fatal Overdose, Saving Lives.